This is my Guide to the Best Gluten-Free Flour Blend Recipes. It includes a gluten-free flour mix that works for everyone! Eight gluten-free flour blend recipes that are simple to make and store. Are you interested in finding a super easy all-purpose gluten free flour blend recipe? Many years ago, I searched and searched – but had a hard time finding what worked for me. 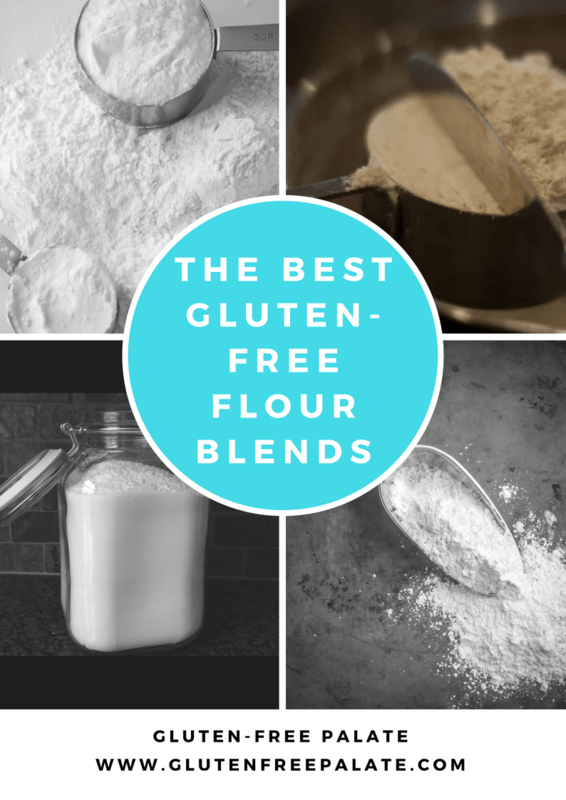 I’ve since developed my own gluten free flour mix and also found several other useful resources to turn to – that provide a whole array of flour blends to work with (Check out the fabulous list below). Gluten-Free Flour is a grain or starch that has been dried and ground into a flour like substance. Most gluten-free flours are mixed into a gluten-free flour mix or a gluten-free flour blend. I find that most recipes work better with a gluten free all purpose flour. Important thought #1 – What if you are in the middle of baking and you run out of your turn-to-blend AND you search through your cupboard only to find that you don’t have the amount you need to mix up a quick batch? That totally stinks, I’ve been here. Important thought #2 – What if you are baking for a friend who is intolerant or allergic to one of the flours or binding agents you use? You may want to consider un-friending them (just kidding) or making up a separate batch to use. Important thought #3 – What if you are just starting your glorious-gluten-free-baking-adventure and you don’t know where to start? Let’s mix up a batch of gluten-free flour and have some fun making and developing recipes. You’ve got this! Important thought #4 – What if you are looking for something particular, like high fiber, or bean-flour-free? I like bean flours, but you may not. And I only use bean flours in certain recipes that have the right combination of other ingredients that you can’t (or shouldn’t) taste the bean. I wouldn’t want to use it on a crisp or my turtle bars – you can still taste the bean! Ack! This is about you! And what your preferences are, and this collection of gluten-free-flour blends is meant to give you everything you need in order to successfully bake what your heart (and palate) desires. Grains used in traditional baking such as wheat, rye, and barley are made up of two basic components: protein and starch. Gluten is the protein in wheat which strengthens and binds dough in recipes. Starch is a thickening agent. In order to replace wheat flour with gluten-free flour, you need to combine gluten-free flour with gluten-free starch, and sometimes add a binding agent. It’s not a one-to-one ratio. The amount used depends on the gluten-free flour and gluten-free starch you use. I am not a mad scientist (maybe just a little mad, bwahahaha) or a food engineer by certification, but I have been avid baker and recipe develop for years. I don’t know everything (although I tell my daughters I do) and can’t answer every single question you have on gluten free flours. What I can do is share the knowledge I do have and point you to other resources for the answers I don’t have. Sharing is caring – if you didn’t know, and that is why I compiled this list of Your Guide to the Best Gluten-Free Flour Blend Recipes! Gluten-Free Flour – Shirley developed this gluten-free flour blend using only corn starch and white rice flour. Simply genius! I love that both gluten-free flours are inexpensive and easy to find. Her two-ingredient gluten-free flour blend works with most recipes and makes a great addition to any gluten-free recipe. Gluten-Free Flour Recipe – Amy Fothergill, Author of The Warm Kitchen, mixes up a batch of her all-purpose gluten-free flour blend making 6 -9 cups at a time (1 to 1.5 times the recipe) and uses it to make bread, waffles, pancakes, cupcakes, cookies, etc. with few exceptions. Due to its versatility she also almost always uses it in other people’s recipes. Gluten-Free Flour Blend Recipe – Celeste from There Is Life After Wheat created this cup for cup best gluten free all purpose flour mix that makes amazing cakes, breads, muffins, brownies, bars, and just about anything you want to whip up. Use can use this gluten-free flour recipe, cup for cup in all your favorite gluten-free recipes. 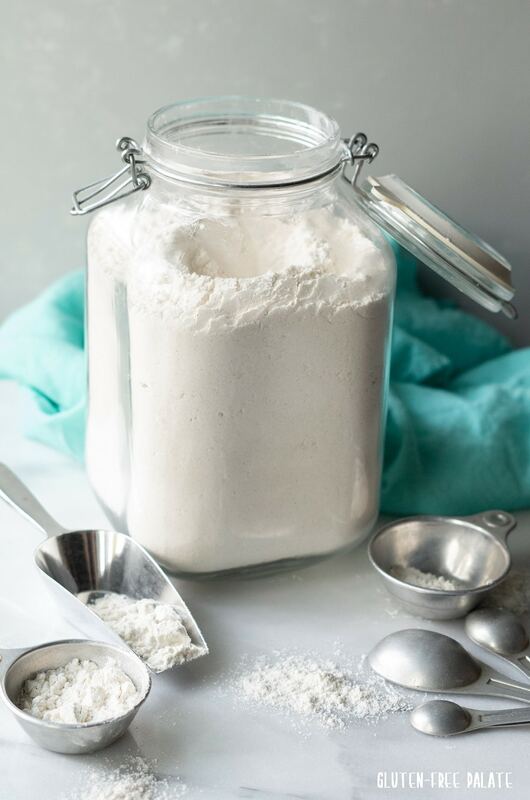 Gluten-Free Flour Mix – This all-purpose gluten-free flour blend from Sheena at Noshtastic includes a balance of gluten-free whole grain flours and versatile starches. She offers the gluten-free flour recipe in weight and cup measurements making it easy to whip up. Gluten-Free Flour Blend Recipe – Brianna from Flippin’ Delicious measures her gluten-free flours in parts instead of exact measurements so you can easily make as much or as little of her rice gluten-free flour blend as you want. This gluten-free flour mix works well as an gluten free all purpose flour in cakes and cookies. Sweet! 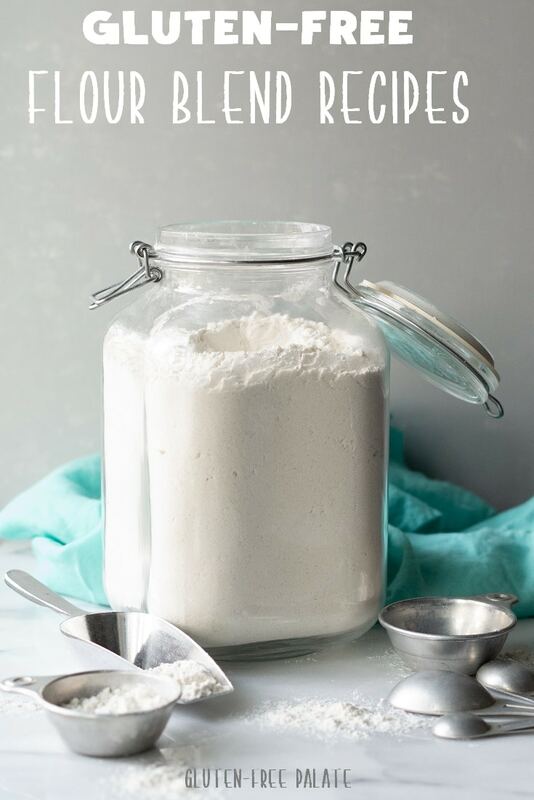 Best gluten free all purpose flour – Jules Shepard, also known as GF Jules, created this homemade gluten-free flour blend from her book, Free for All Cooking. It’s also been published in Gluten Free & More Magazine and we are lucky enough to have her share it with us below. Thanks Jules! To make very fine rice flour, process rice flour in a food processor, blender or clean coffee grinder until very fine. Refrigerate this blend in a large zip-top bag or a sealed container until used. 1. Whisk ingredients together in a large bowl until well combined. Each cup contains 522 calories, 1g total fat, 0g saturated fat, 0g trans fat, 0mg cholesterol, 6mg sodium, 123g carbohydrate, 4g fiber, 0g sugars, 4g protein, 74 Est GL. Remember, Sharing is Caring! Please don’t forget to share this awesome resource with your friends and family! Thank you so much for this wonderful resource. Sharing & pinning for my own reference. I’m newly diagnosed and working on finding gluten free foods to add to my pantry. This is so helpful and appreciated. Have a beautiful week, filled with Aloha! I just made pizza crust today and I mixed tapioca flour with coconut flour and a little nutritional yeast! It pretty much ROCKED! Thank you for including me. I just got back from vacation, so I hope to start sharing more. Can you tell me if any of these gluten free flours is good to make pie crust? I have sweet white rice flour, tapioca flour, & xanthn gum left over from the last time that I made a batch of GF flour mix. What I don’t have is the recipe that I used! Can you help me? I’ve tried to find it on the Net but have had no success. I am in search for a diabetic friendly, gum free, gluten free, no starch baking mix to use. No one with diabetes can eat these things. Why? Because they are like poison to our bodies. I have learn that some cultures use dry ginger powder to make baked goods rise, I find this fascinating. For structure in gluten free baked goods, using 3 cups GF flour I use: 1 pkg plain gelatin (as a thickener), 1 tsp cream of tartar, 1 Tbsp of baking powder, 1 tsp baking soda, 1/4 tsp dry ginger pwdr, 2 Tbsp flaxseed meal, and 1 Tbsp warm water plus 1 tsp flaxseed meal, then mix this, let it sit for 5 mins and then add to the wet ingreds. These structural ingreds are also part of the baking mix. I sometime add 1 tsp active dry yeast also. This is still a work in progress. do you have any suggestions, I appreciate all the good work you do. Thank you for stopping by. Have you tried baking with almond and coconut flour? I have a few recipes that use almond flour and I know of several gf recipe developers who use a mix of both.